Brand New, never been lived in home at Lake Douglas Preserve has so much to offer. 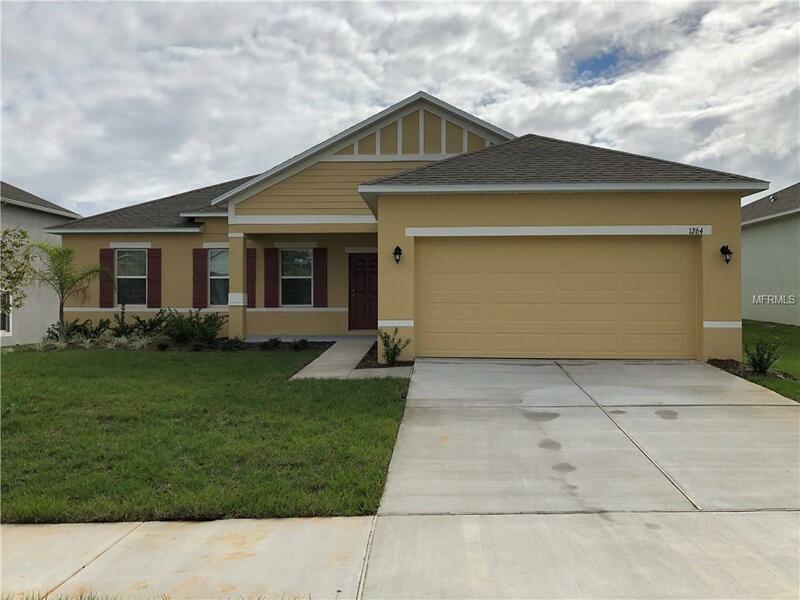 This beautiful home includes 3 bedrooms and 2 bathrooms, an open floor plan with upgraded 42 inch cabinets, large kitchen island, and granite countertops throughout. Floors tiled in all wet areas and carpet in the living room and bedrooms. Family room has slider glass door leading to the 30ft by 10ft screened in lanai. This home is just off Hwy 50, on the Clermont/Groveland border. Local schools are Groveland Elementary, Cecil Grey Middle, and South Lake High. It is convenient to shops and restaurants as well as being close to the new Turnpike Interchange.